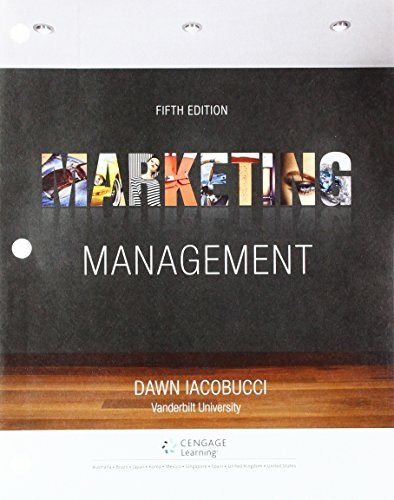 Students save money by purchasing this bundle which includes Iacobucci's Marketing Management Loose-Leaf Version, 5th Edition, and access to MindTap. MindTap provides the tools you need to better manage your limited time. You can complete assignments whenever and wherever you are ready to learn with course material specially customized by your instructor and streamlined in one proven, easy-to-use interface. With an array of tools and apps -- from note taking to flashcards -- you get a true understanding of course concepts, helping you to achieve better grades and setting the groundwork for future courses. Access to this product is valid for 6 months of usage.